For tutorial videos of all the new Apple iPad features, click here. 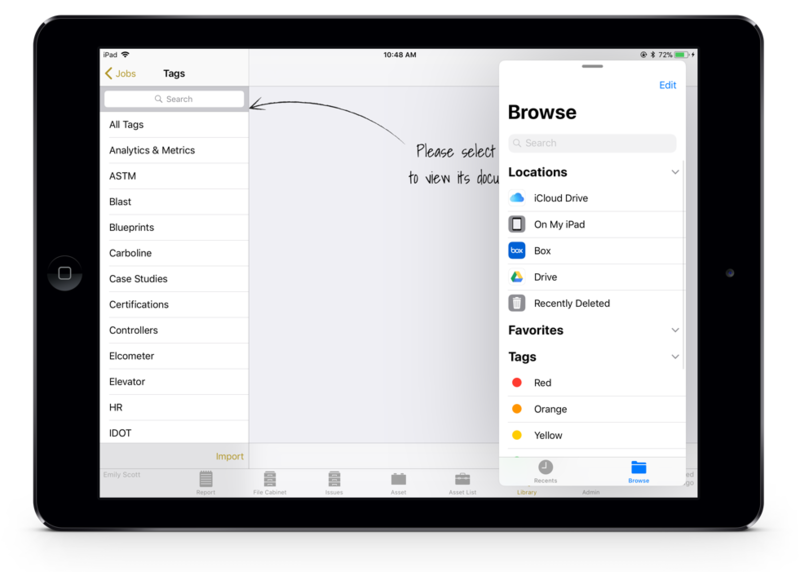 When it comes to iOS 11 and TruQC, we’d like to specifically focus on how the new Files app and improved multitasking can enhance your user experience. Access files from your other iOS devices with iCloud Drive and through cloud storage apps you use, such as Box, Dropbox or Google Drive with the new Files app. Files presents a great deal of opportunity for TruQC users, especially when using multitasking. With these improved features, users can get their documents into the TruQC Document Library even more efficiently. With the older iOS software, users had to switch back and forth between TruQC and whatever app their files are stored in to bring documents into the library. While this isn’t particularly difficult, it isn’t ideal. The new iOS 11 Files app and Multitasking feature enhances this process. To utilize these features, you first need to open the TruQC app, then swipe up from the bottom of the screen to reveal the dock. Drag the Files app from the dock to open it in the main screen simultaneously. With Files open, users can now select a document to upload by choosing from your iCloud Drive or a cloud storage app. 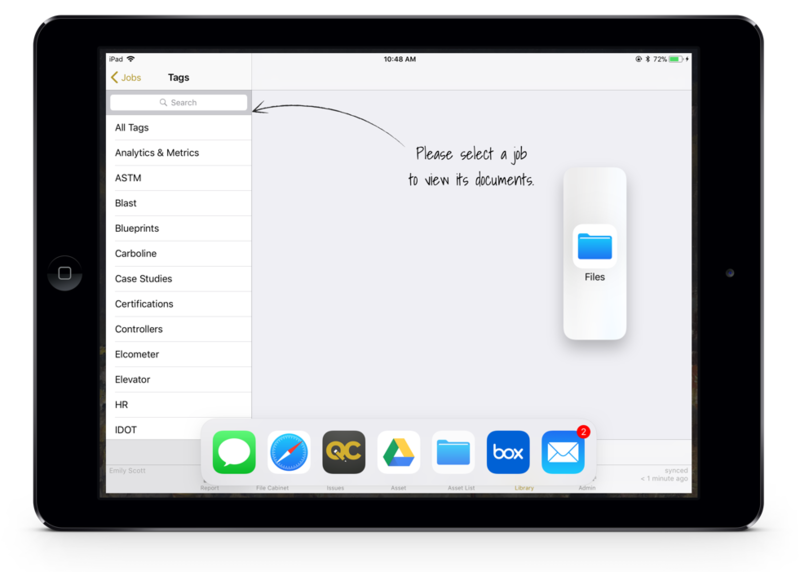 To upload, simply choose a document, tap the box with an arrow in the bottom left and tap “Copy to TruQC.” The document will populate immediately to TruQC and can be tagged and associated to jobs. Using TruQC, Multitasking and Files you can now upload documents quickly and easily. At TruQC, we stress the importance of updating our product. 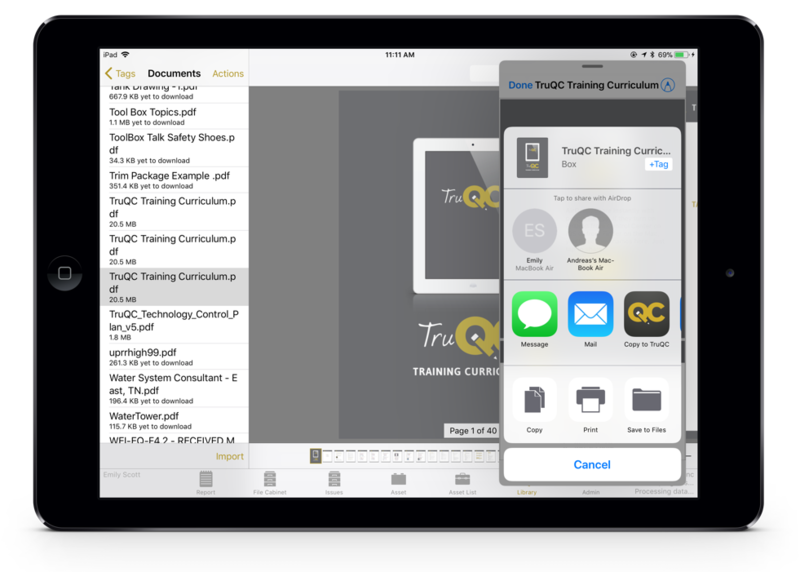 TruQC updates are crucial for a faster app, smoother report submission, and easier data entry. Apple is no different. With each iOS release comes software enhancements, new features, and compatibility tweaks. Each time Apple launches a new operating system, TruQC and other apps respond with updates of their own to ensure both systems cooperate with one another. Still need to download iOS 11? Here’s how.